This collaborative exhibition presents the art work of art psychotherapists and reveals some of the hidden and intimate processes of art psychotherapy. 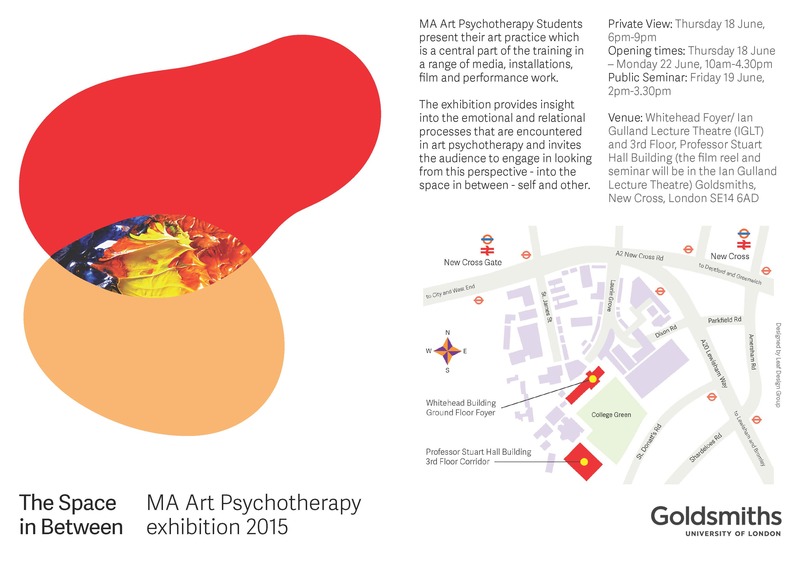 Each year students of the MA Art Psychotherapy programme collaborate on an exhibition to present their art practice and open up awareness of the work of art psychotherapy and the MA programme at Goldsmiths to a public audience. Accompanying the exhibition, public seminars and workshops are held to stimulate debate and exchange with the aim to open up new conversations and forge critical thinking about the work of art psychotherapists, their art making and its cultural value and contribution in society. Current students are actively involved in the design of the exhibitions, associated events, exhibiting their artwork and presenting it to a public audience to advance this community-building, artistic initiative in understanding the field of art psychotherapy. This website is a publicly accessible resource for the archive of catalogues and films. A diverse range of artists have exhibited at the Goldsmiths MA Art Psychotherapy Summer Exhibition over the years, exploring wide-ranging media as art responses to the learning experience. Click on the artists below to find out more.